I am contemplating this question as I sit on a bench overlooking Lake Geneva and the mountains (pictured to the left) in a small village town outside of Lausanne, Switzerland. 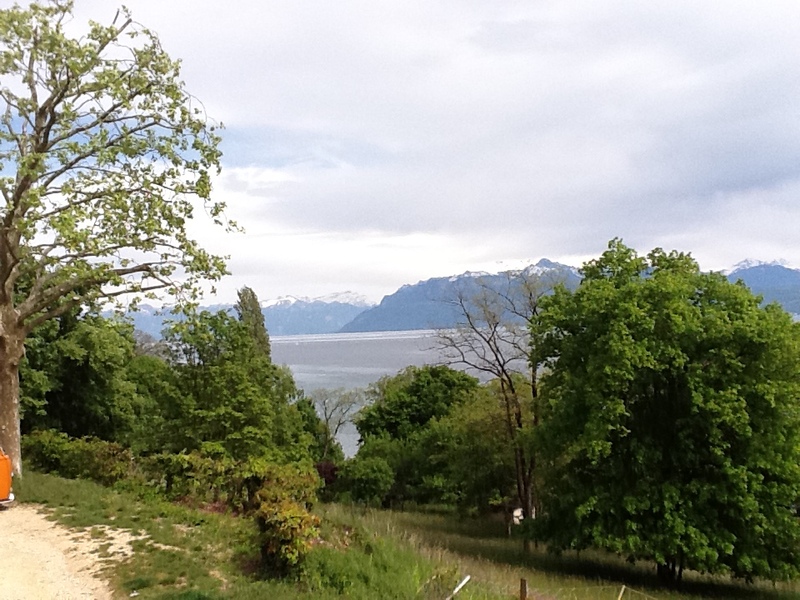 It is always great to write and then look up to see wonderful views of the mountains and lake for further inspiration. For eight years, I called Switzerland my home (two different stints from 2001 – 2011). A few years back, I never thought that I could live anywhere but Switzerland. The place has a way of growing on you, and my time here shaped who I am today. My different professional roles working for diverse international organizations provided me a unique global perspective on business and life. Not to mention, I met my wife here, was actively involved in a church in the area, and made many lifelong friends! With reservations, I decided in 2011 to head back to the States to take a role at Duke University. I figured it would be the best decision for my family and it would ultimately allow me to pursue my lifelong aspiration of starting my own communications company. Starting a business in Switzerland as an expatriate probably would have been impossible, especially given the Swiss’ recent vote to curb immigration. I ultimately launched my business in November 2013 (though was laying the foundations for this since the second half of 2012). I simply filled out a few forms, sent in a check for a couple hundred bucks to the North Carolina Department of the Secretary of State and within a couple of weeks my company was officially incorporated. Fortunately, my business has allowed me to have regular contact with individuals and organizations here in Switzerland. The majority of my projects are based here – I probably do more business calls on behalf or with my Swiss clients than I do with individuals in the US. My business also allows me to travel here quite frequently. While I cherish the memories and still greatly enjoy spending time in Switzerland, I am actually happier that I live in the States (at least for the time being). Not only is living in the States easier for my family, but also it allows me to pursue my goal of starting my own business. Chapel Hill, North Carolina can’t compare to the Lake Geneva area in Switzerland in several aspects of life that I find important: global community, aesthetic beauty, quality of life and overall dynamism. However, there are other factors in my life that make the consequences of the location more important than the actual place. Obviously, choosing where to live in pursuing one’s goals is a very personal decision with numerous factors involved. Ultimately, we need to find happiness and be content wherever we are at. For me personally, this time back in Switzerland has reinforced that living in a place that allows me to fulfill my passions and is a better fit for my family is more important than living in an “exciting location”. If you are weighing the pros and cons of a career decision and / or re-location opportunity, than I hope this perspective is useful for you.